Brian Williams is stepping aside from his "NBC Nightly News" chair amid mounting questions about the accuracy of a story he told about an Iraq War mission in 2003. "I have decided to take myself off of my daily broadcast for the next several days," he said in a memo to colleagues on Saturday afternoon. Lester Holt, anchor of NBC's "Dateline" and the weekend "Nightly News," will fill in for Williams. "Upon my return, I will continue my career-long effort to be worthy of the trust of those who place their trust in us," Williams said at the end of the memo. NBC News executives were mum about Williams' leave of absence. But one, speaking privately, insisted that Williams chose to "bench himself" without being pushed to do so. Rank-and-file employees at the network expressed a range of emotions about the announcement: inevitable, necessary, yet upsetting. One longtime NBC News staffer called it a "slow-motion car wreck." Television news veterans -- some of whom admire Williams -- immediately began asking if he'd ever be able to return to the job. Frank Sesno, a former CNN Washington bureau chief who now directs the George Washington University School of Media & Public Affairs, said that depends on whether more damning revelations come to light. "I think this is a very smart thing for him to do," Sesno said on CNN's "Newsroom" on Saturday. "Whether he's done it or he's been pushed to do it, he does it in his name, so he gets some credit for that," Sesno added. Robert Thompson, the director of the Syracuse University Bleier Center for Television & Popular Culture, said he thought Williams' leave of absence should have commenced right after his on-air apology. 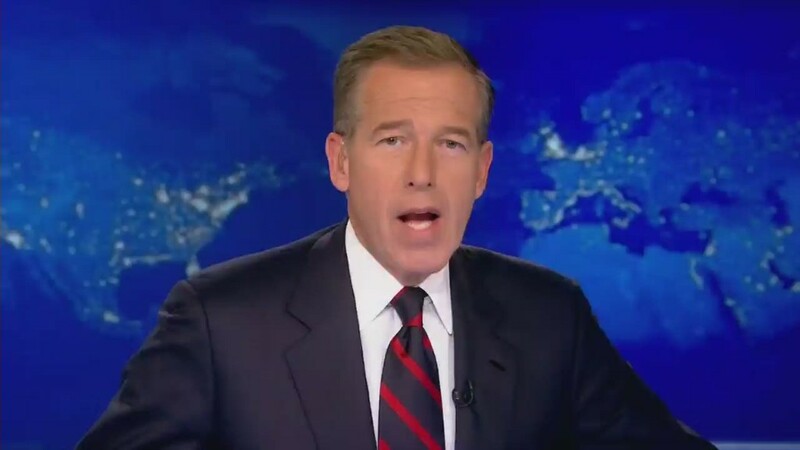 "I know that Brian Williams is the golden goose at NBC News, but in the end, I think Wednesday night, anybody rationally could have said 'This is a decision that has to be made,' and it ought to have been made then, as opposed to today," Thompson said on CNN. In the wake of the embarrassing revelations about the Iraq mission, journalists have started to raise questions about Williams' reporting about Hurricane Katrina as well. NBC has not addressed any of the questions directly. But on Friday NBC News president Deborah Turness issued a statement that confirmed an internal investigation had begun. It involves fact-checking both the Iraq and Katrina information. "We have a team dedicated to gathering the facts to help us make sense of all that has transpired," she said. "We're working on what the best next steps are -- and when we have something to communicate we will of course share it with you." Television industry observers pointed out that the statement contained no explicit message of support for Williams. In Williams' memo on Saturday, he said "it has become painfully apparent to me that I am presently too much a part of the news, due to my actions." NBC called it a "personal note from Brian." Holt mentioned Williams' announcement on Saturday's "Nightly News." The other two network evening newscasts also briefly reported on it. Meanwhile, NBC's internal investigation is charging forward. It is being led by Richard Esposito, the senior executive producer of NBC's investigative unit. Esposito normally tries to break news about subjects like government wrongdoing; now he is fact-checking the top anchor at the network where he works. In television news industry circles, there are many raised eyebrows about Esposito's assignment. But he is a well-respected reporter: he has a reputation as a "digger," someone who aggressively pursues subjects and scoops, not the sort of person who'd help make unpleasant news go away.